Hands up if you love online shopping! Me? Think my favourite website is the undead vampire, sucking my blood cash dry. Lol.… Aih but shopping needs wealth and there ain’t pigs flying…yet. 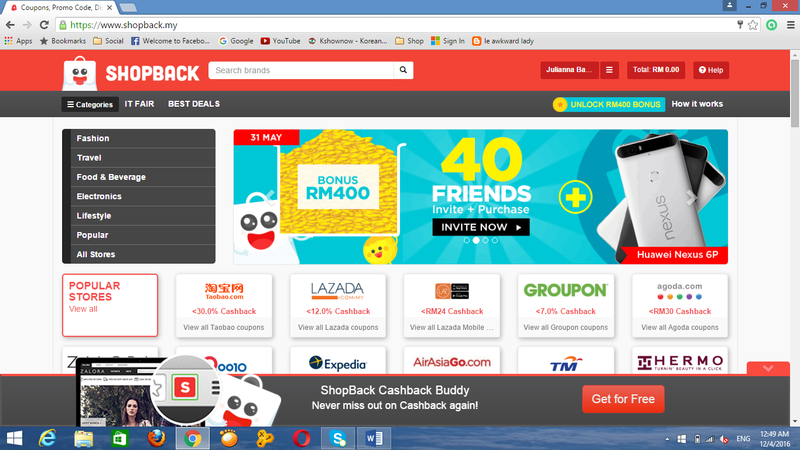 What if you can get cashback for online shopping? Who wouldn’t love that idea? Most credit cards have that benefit but it’s so minimal… We’re looking at, at least a 5% cashback (depends on the sites per se). Yes, by using Shopback! 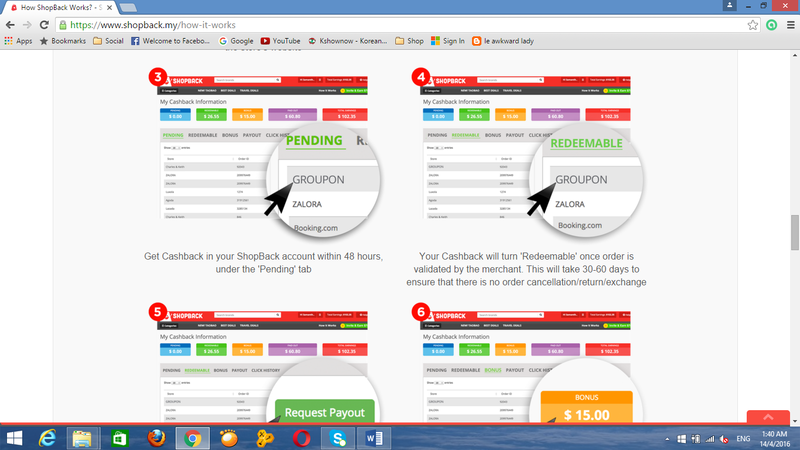 I was approached by them to do a review, you know, get a feel of their concept, which by the way, their website layout is well-structured and easy navigation. It’s a plus if I like their website. Yes, I’ve heard of it but wasn’t interested before. Well, nothing bad in checking them out. 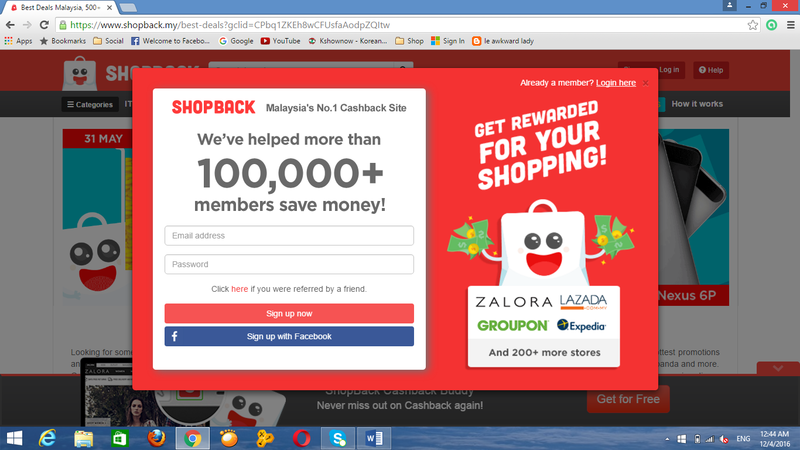 So, here’s Shopback and the first thing that greets you. Not registered yet and have a Facebook? Go ahead there. 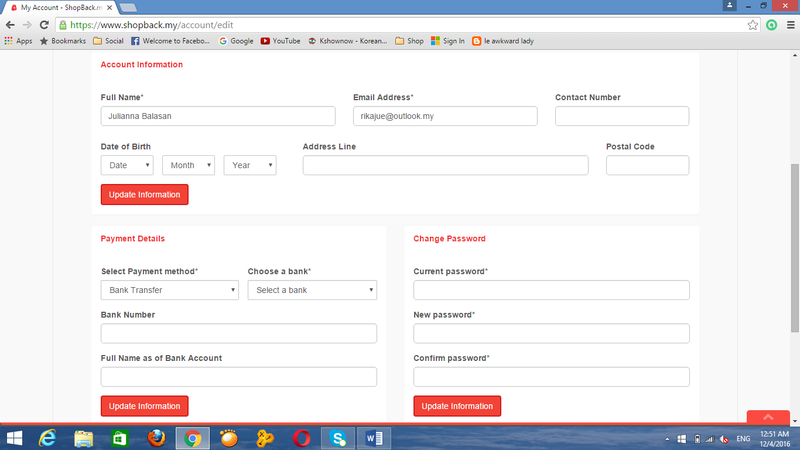 Well-structured layout, right? And mostly the popular online shops there. Lol. 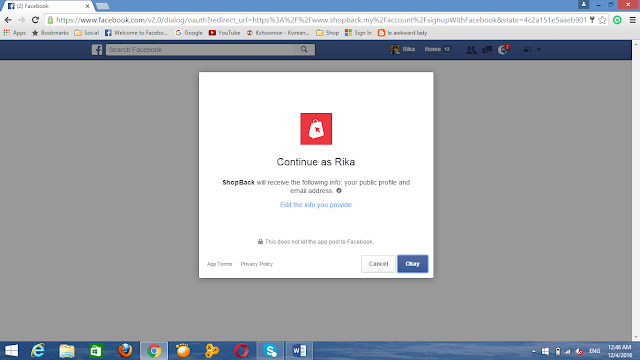 This will be your default page when you click on your account. 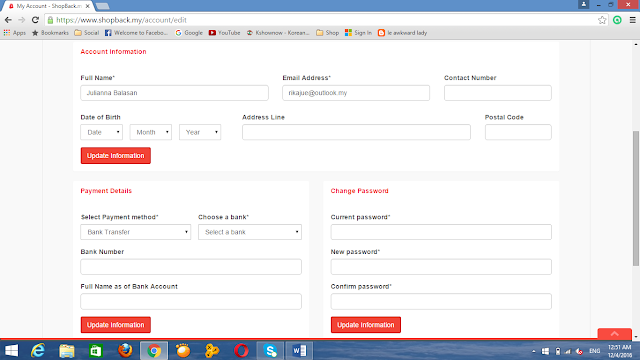 Fill up your information as above. Who doesn’t like Referrals? It’s a win-win situation! A brief info later at the end of this post. When you click on an online store, this Note will remind you what you can get. 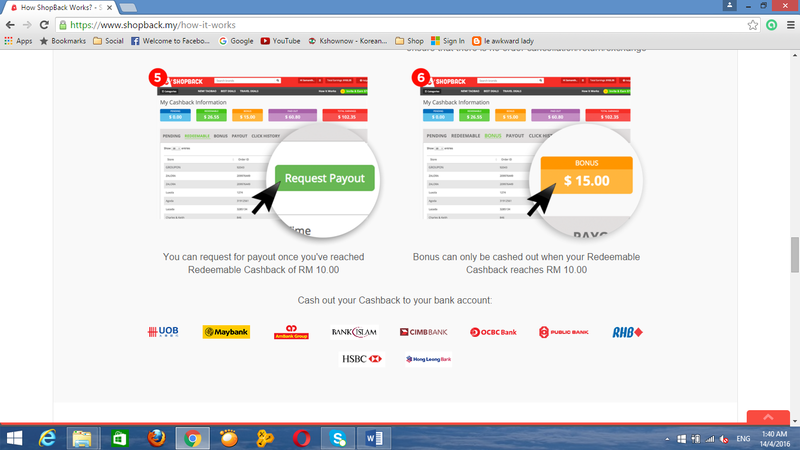 Wait for the Redirect and start shopping. 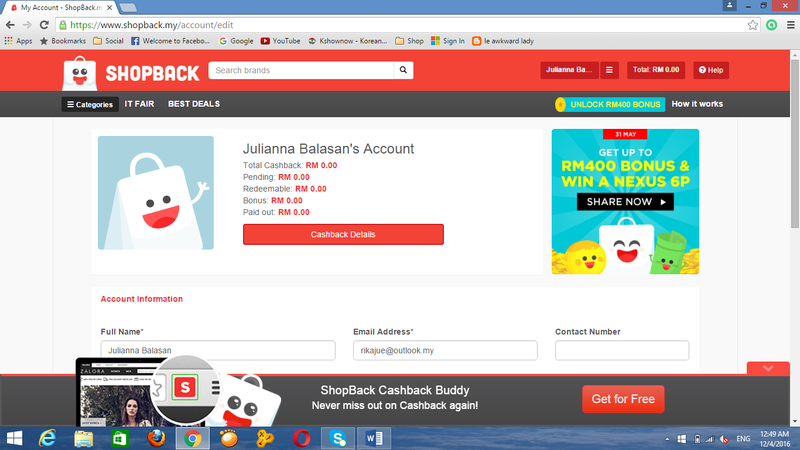 Remember that during the whole online shopping, keep on the same browser. If you accidentally close it, start from Shopback. 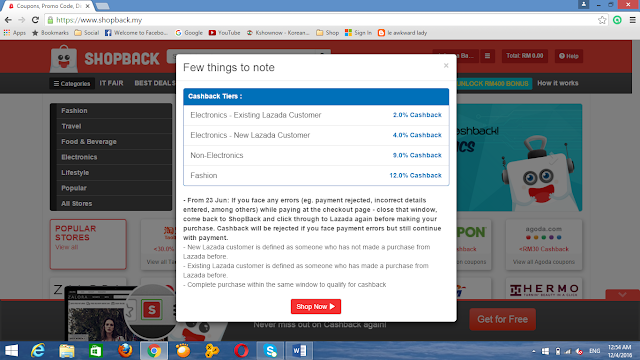 Or you won’t get your cashback later. 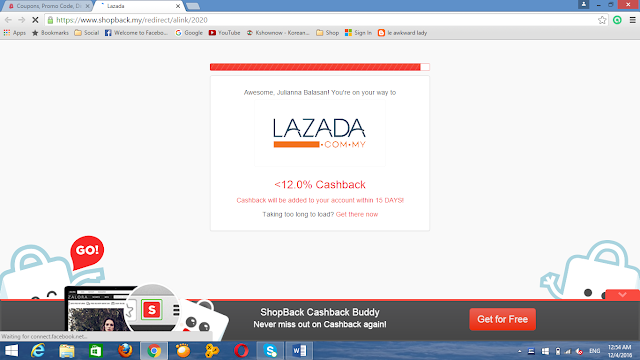 You can find the latest Lazada vouchers here. 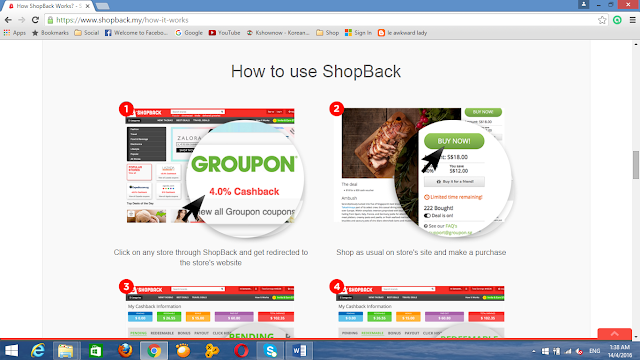 Here’s a How It Works by Shopback! For a video tutorial, go here. 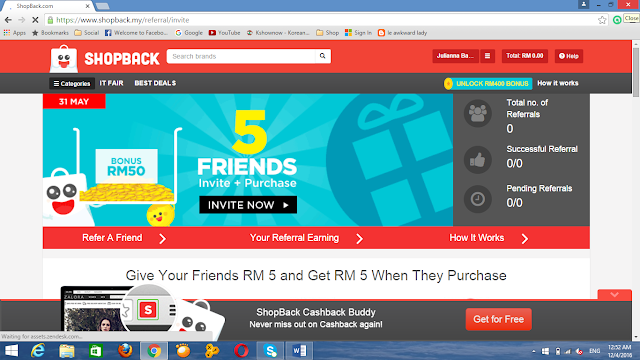 Want to sign up now and start earning cashback from online shopping? Wait! Use my referral link and get a RM5 signup bonus plus extra RM5 when you do your First Purchase. T&C here. Thanks for reading! Let me know how’s your experience on Shopback too.